Get ’em while they’re hot! UFC 100 tickets go on sale to the general public on April 11th at 1PM EDT/10AM PDT. 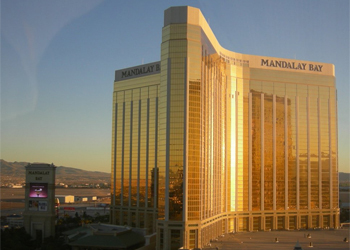 The monumental event will be held at the Mandalay Bay Event Center in Las Vegas, Nevada. UFC.com newsletter subscribers will get a one-day jump start on us common folk, as they will have access to tickets at 1PM EDT on April 10th, and UFC Fight Club members will be able to nab their tickets on April 9th at 1PM EDT. The UFC’s centennial MMA event will be proceeded by a full week of events, including the UFC’s first-ever UFC Fan Expo. Roughly 100 various companies and brands will jam into the Mandalay Bay to promote and slang their products and services.